Synopsis: When Claire Danvers learned that her college town was run by vampires, she did what any intelligent, self-preserving freshman would do: She applied for a transfer and stocked up on garlic. The transfer is no longer an option, but that garlic may come in handy. Overall, I liked this book. I just didn’t love it like I did the first two. The plot…was a little slow in places, disappointingly. I’ve got to admit I was a little let down with this book after loving The Dead Girls Dance so much. I just felt like there was a lot of unnecessary writing in it and not much point. The characters…ugh. I hated Shane for the first half of the book. And I hated myself for hating Shane…but I couldn’t not. I can’t say anymore due to spoilers, but go read the books and you’ll find out why! 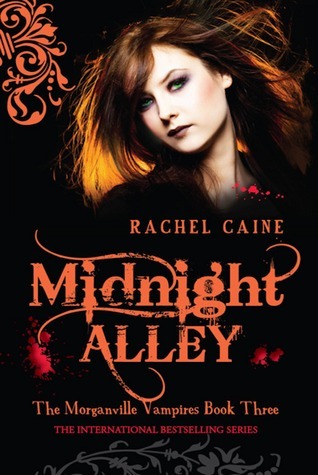 The writing…as always, the writing can never be a let down with Caine. Something I liked…the ending! Caine never fails to leave you with a cliffhanger, and I love that. In fact, I wish there had been more cliffhangers in this novel. Something I disliked…just how little happened. I liked this book, I just wanted more of it. I wanted it enhanced. On drugs. Anything, just more. Let’s Discuss! What to read next?